After fugitive Ryan Jenkins was found dead in a motel room in Hope, B.C., this weekend, there has been widespread speculation about the identity of the young, blonde woman who checked Jenkins in. Jenkins was wanted in connection with the killing and mutilation of his wife, Jasmine Fiore, in California. There was a cross-border manhunt for Jenkins, a U.S. reality show star. Multiple sources have told CTV News that RCMP investigators have interviewed his half sister, Alena Jenkins. The manager of the motel says the woman who checked Jenkins in drove a silver PT Cruiser with Alberta license plates. CTV spotted a similar vehicle parked underneath Alena Jenkins' downtown Vancouver apartment complex Tuesday night. RCMP will not confirm if Alena Jenkins is being questioned. Officials are saying that all the people they want to speak to have been identified and are cooperating with them. 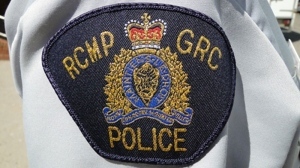 RCMP Cpl. Norm Massie said authorities are still investigating the events surrounding the rental of the motel room and how Ryan Jenkins came into Canada and whether someone helped him. "We are not sure if someone helped him," he said. Mark Jette, a Vancouver criminal lawyer, says it will be difficult to charge someone with aiding Jenkins in Canada. The Canadian warrant for Jenkins' arrest was issued Friday afternoon. The woman checked Jenkins in on Thursday. "It's hard to prove because the main focus of the police is on the person who committed the murder than on who helped them afterwards. And the person who helped may be an assistance to the Crown in prosecuting the case," he said. RCMP say they may have more information later this week about potential charges.